Accidents happen every day. Car crashes, medication errors, and defective products are just a few common causes of serious, accidental injuries and death. When these tragic situations occur, families are left with many questions. They want to know how and why the accident happened, and who is to blame. Many times, the death was not a result of any one particular factor – just a terrible accident. There are situations, however, in which the death came as a direct result of negligence by a person or business. In these cases, it is possible for families to file a legal claim and recover compensation. 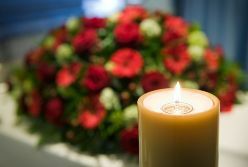 Those who wish to file a wrongful death claim have two years from the date of the person’s death to do so. After two years, Delaware court will not hear the case. Funeral expenses. In Delaware, these expenses must be “reasonable,” and not exceed $7,000. Loss of household services. This includes the cost of childcare that may be necessary after the death of a parent. Loss of income and benefits. Loss of child support or alimony. Mental anguish resulting from the death. Every wrongful death case is unique and should be assessed by an experienced attorney. If your loved one died as a result of an accident or someone’s mistake, you may be entitled to pursue a claim. Contact the knowledgeable Delaware Workers' Compensation Lawyers at Morris James Personal Injury Group for a free, no-obligation consultation.